If you’re living room is looking a little worse for wear and is in need of a revamp, you’re probably excited at the prospect of the new space you can create. Of course, you’re most probably also stressing about the practical side of things. Including the stress that comes with a living room overhaul. This is especially true if, like me, you have little ones running about. Every mum’s worst DIY nightmare is a child covered in paint that’s meant for the walls. The good news is that there are plenty of ways you can make updating your living room easier and less stressful. The first thing you need to do is get an idea of the type of space you would like to create. If you don’t know what living room design you want, you can’t do anything. That’s why it’s important to take the time to get some ideas and inspiration so that you can come up with a plan for what you want. Remember, when looking at ideas to think practically about each one. When you’re a parent, it’s not just about what looks good; it’s about what will last. For instance, luxury carpet might look great in a show home but with little ones pottering about, it won’t stay looking good for long. That’s why, if you’re got kids to think about, it’s always best to keep everything easy-to-clean, from the flooring to the walls. 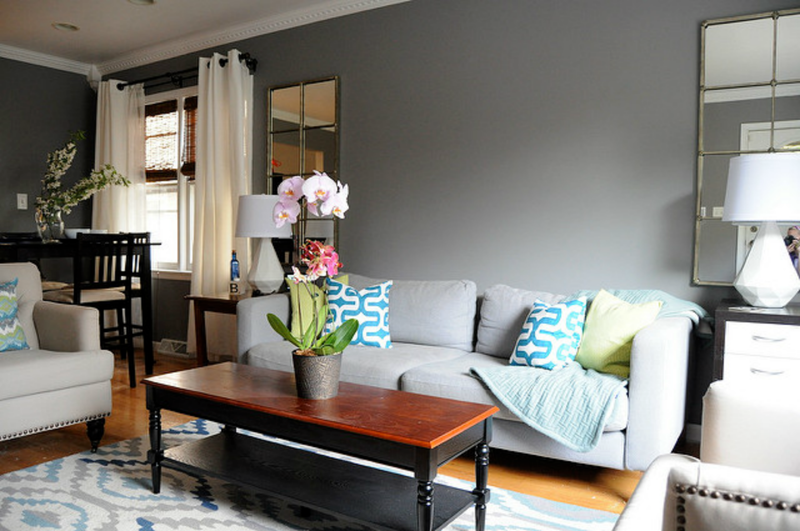 It’s cheaper to go DIY with your living room overhaul, but it’s also much more stressful. Unless you can ship the kids off somewhere for the week - their grandparent’s house perhaps, going DIY is not the best idea. Instead, get the professionals in to complete your project. It will cost more but it will be completed more quickly and will be a lot less stressful for you. Don’t rush into hiring any contractors without properly researching them. Have a browse of their website for reviews, to get an idea of the quality of the work that they do. If possible, get in touch with previous clients of theirs to make sure that their work is as good as it seems. Or, how about asking friends or relatives to recommend an artisan painter and decorator that they’ve used themselves? Do your little ones use your living room at lot - is it their only play space? Then perhaps it’s best to stay somewhere else for a few days. Unless you’ve got somewhere else where your kids can play, such as a playroom, it’s often easier to move out while your living room is being revamped. Perhaps you could visit friends or relatives? Or maybe there’s a local hotel that’s not too expensive to stay at? If it’s too stressful to stay at home while the work is being completed, find somewhere nearby to stay. It might be a little stressful while the work is being done, but once your living room is completed, you’ll love it. To make the process less stressful, take the tips above on board.